You are currently browsing the tag archive for the ‘active grief’ tag. 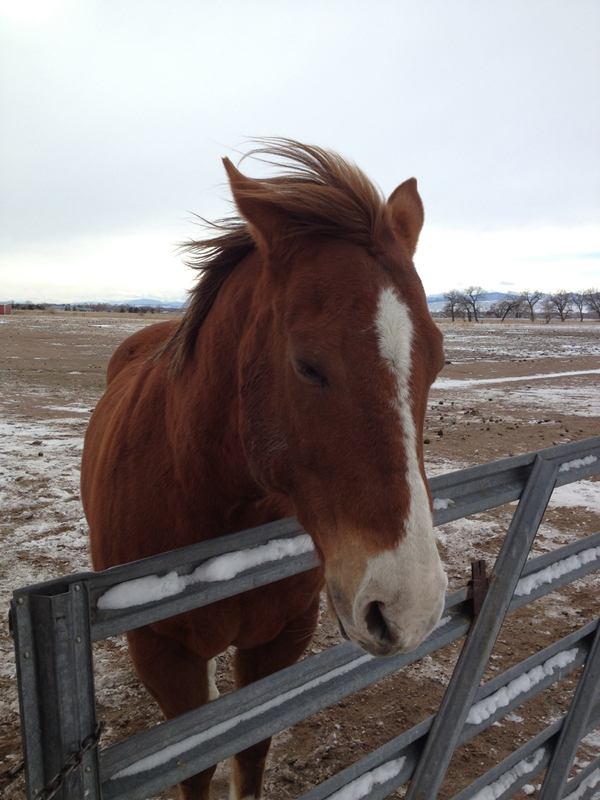 It’s been six weeks since Bud, our sweet Appaloosa gelding died. And now we’re coming up on his birthday. On Sunday he’d be thirty. Things have changed since his death. Things that I couldn’t expect. For one, the Herd of Oldsters is different. Earlier this week when I was out feeding Pepper, I had a conversation with one of Amigo’s peeps. She was brushing him down after a ride. She asked how the three of us were doing. I told her we were okay. “The herd seems lost since Bud died,” she said. “And I so often see Pepper by herself,” she added. I agreed, a lump forming in my throat. Grief is sneaky like that. One minute you’re fine and the next, you can’t speak. She went on to tell me that she’s finding places on Amigo where he’s been kicked or bitten. “I think he’s trying to find a new friend,” she said. I know it’s the horse way – all that power and posturing – but I don’t like it. I hate thinking that Bud’s best friend is getting beat up. We stood for a moment or two, tending our horses and enjoying the silence. This surprised me, but in hindsight I know it to be true. That sweet old Appy was the alpha horse in the Herd of Oldsters. And with him gone, they are struggling to re-group. They will figure it out. I’m confident of that. A new leader will emerge. It got me thinking though about my own glue. Who is it that holds me together? How do I re-group when the world seems to be nibbling pieces of me until I’ve lost my center? We all have times when we could benefit from a little glue. Or a lot of glue! My glue usually consists of spending time with friends and family. I have a core group of “glue dispensers”. I also find that certain routines help put me back together when I’m feeling like Humpty Dumpty. One thing I’ve learned as a mosaicist is that all glues are not created equal. You must find the right glue for each project. And if I may extend the metaphor a little, I think it’s true for us as well. I have many people in my life who each provide a unique kind of glue for me. And there are many activities/routines that offer the same gathering up of my assorted pieces and parts and holding them together. The key is finding the right glue for the right time. I would never have thought of it in this way, without my conversation about Bud being the glue in the Herd of Oldsters. I love it that he continues to be one of my teachers. So I offer this question to you as well: Who’s your glue? P.S. I’ll be lighting a candle for Bud on Sunday. A few years ago, I acquired a special memory candle for birthdays and other special occasions, to honor those who are no longer with us. It has become a meaningful tradition for me. One tiny way to be mindful. One of my favorite photos of Bud. 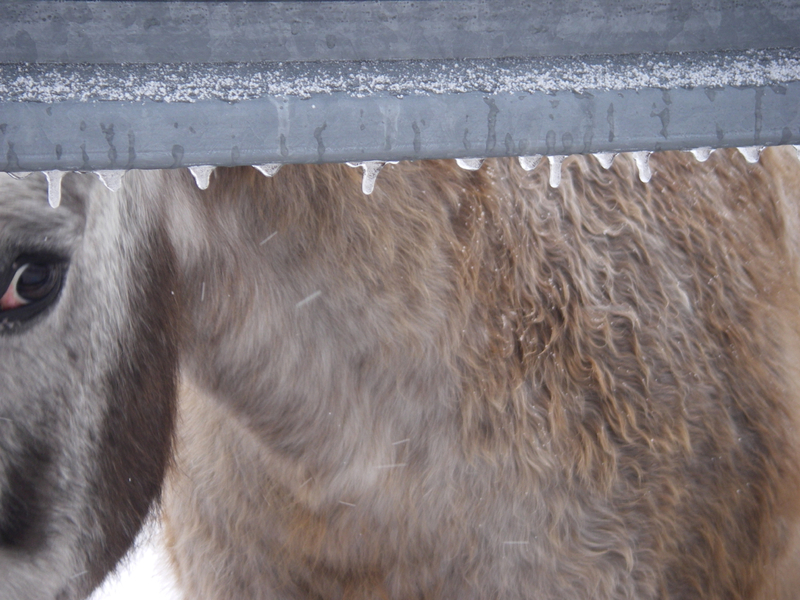 Peeking out through the gate on an icy afternoon. Your kindness and support for us as we deal with the death of our sweet Bud has been wonderful and so very touching. When I began this journey of blogging nearly three years ago, I had no idea what this community would come to mean to me. But we have become a family of sorts in this newfangled digital world. And it’s a family I treasure. Thank you for your comments, your warm wishes and your love of animals. Thank you for taking our two old sweeties and their pals, the Herd of Oldsters, into your lives and hearts. Thank you for laughing with us and crying with us. Choosing to welcome an animal into our lives means that at some deep level we know that sooner or later we will lose them. It’s not a thought that’s out there front and center, but it’s there. Each and every one of us knows that change is a part of life. It doesn’t make our love any less sweet. In fact, it probably makes it sweeter, this knowing that our time together has an endgame. I’m not suggesting that we dwell on it, or grasp and clutch at life. Knowing is enough I think. And in between those moments of beginning and ending are such glorious experiences. Animals help us become more human, if that’s possible. They help us learn to experience joy in it’s purest form. They help us learn to love unconditionally. They give us so many opportunities to revel in the beauty and wonder of life. They teach us to live in the moment and appreciate each other. They teach us to laugh and not take ourselves so seriously. They teach us to extend ourselves past our familiar comfort zones. And at last, they teach us to befriend our grief. We learn that grief doesn’t kill us; that we will get through it. And that life awaits when we’re ready to step back into the flow. And that my friends, is the most amazing gift of all. If you’ll indulge me, I’m going to spend this week, sharing stories and favorite photos of Bud. I’ve been looking through photographs, and Rick and I have been laughing and talking as we remember our life with this sweetest of beings. Thank you again and many blessings to you for being here with us. Jean, Rick and Miss P.
I’ve never made a peanut butter cream pie, nor tasted one for that matter. I became obsessed, compelled, driven to make this pie. It was as if someone dangled a gold pocket watch in front of me, and repeated the words, “You want to make a peanut butter pie,” until finally, almost trance-like, I headed to the store for the ingredients. This was no ordinary pie. It was a memorial to a young man who died suddenly of a heart attack, leaving his wife and two young daughters to carry on without him and try to make sense of such a terrible loss. I don’t know any of them, but I knew I had to make this pie. And believe me, the last thing my husband and I needed was a pie to consume between the two of us. Jennifer Perillo is a recipe developer, and food writer. She is quite active in the food blogging community, though until recently I hadn’t heard of her. It’s her husband Mike, who died in early August. One Sunday afternoon his heart gave out and he was gone. They had no chance for goodbyes. Jennifer has been sharing (and as a therapist I would have to say processing) her grief on her blog, which to my way of thinking is an amazing act of courage. A week or so later, she put out the call for her fellow friends and bloggers to make Mike’s favorite dessert. 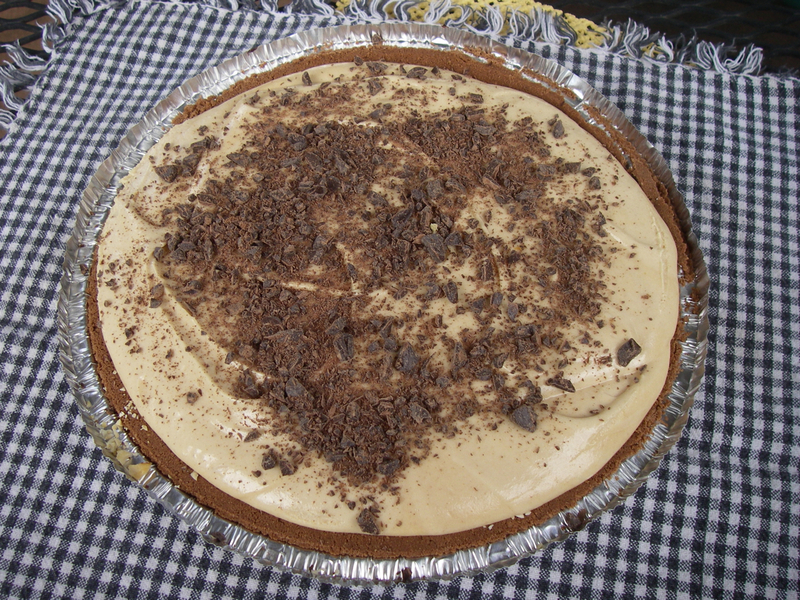 You guessed it – Creamy Peanut Butter Pie. People all over the blogosphere participated in this spontaneous celebration of Mike’s life by making the pie and posting about it. That alone is quite a remarkable thing! I didn’t hear about it until almost two weeks later, when I was cruising around my favorite food blogs, catching up after spending a wonderful couple of weeks with friends and family. It hit me like the proverbial ton of bricks. I felt sad, empty, and helpless and I wasn’t completely sure why. Sometimes the world seems so randomly cruel. Things happen that I simply cannot understand or explain. And sometimes it gets to be too much for my heart to carry. So I made this pie as an act of healing. Active grief if you will. Wow! Ton of bricks moment for me. And now two weeks later, I’m passing this on to you, with the same request. Make the pie or not, but please, please, please spend some time with the people who matter to you. Tell them how important they are. Hug them if you can or use words if they’re far away. Life is much shorter than we want to think it is. And sometimes it’s damned unpredictable. Grief is out and out a sneaky emotion. 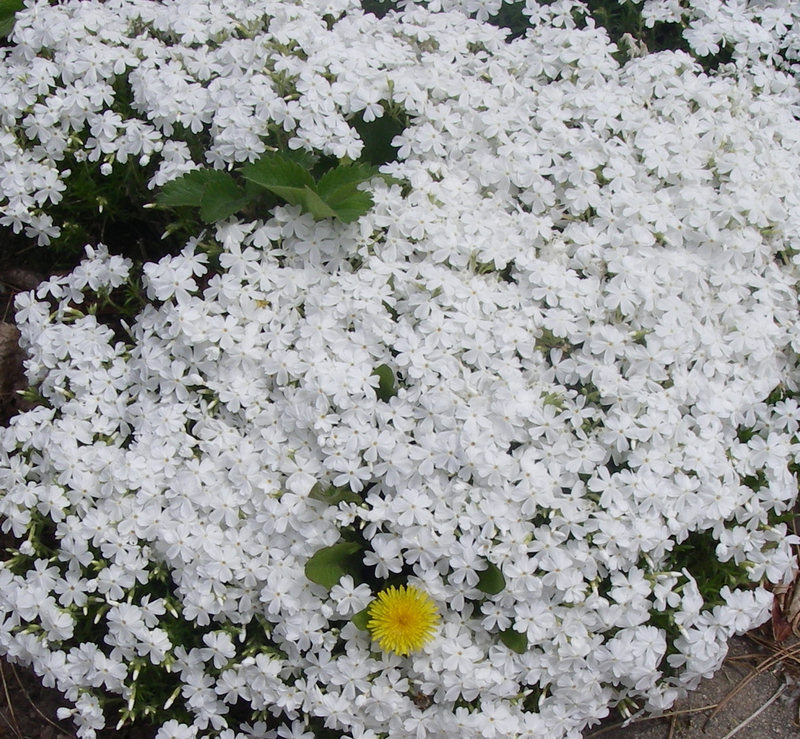 You can be going along in your life completely oblivious to what may be lurking in the shadows – what may pop out in the neat blooms of your orderly life. You may think you’re having a good day, a fine week and thank you very much, a dandy year. Grief gives you a devilish grin and continues to poke with fingers that are long and pointy. You walk away; find a new location. You pick up your pace, hoping to outrun this annoying Grief. Grief matches you step for step. You try not to think about it; you busy yourself with work. Grief continues to poke at you. Finally, exhausted, you turn and face Grief full on. Grief retracts the pointing finger. Grief, it seems, has turned into Doctor Phil! A Personal Note from Jean: Thank you for understanding my grief when I learned that Baby was gone. Talk about sneaky. I was blindsided by the depth of loss I felt. I’m choosing to believe that Baby will draw the perfect people to her. She’s on a grand adventure. And by the way, her real name is Skye. I think you should know that. My husband and I were recently at a friend’s house for dinner. While the two men worked on fixing a computer problem, I waited and watched Miami Ink. It’s a reality show about tattoo artists and their customers in Miami. I’d never seen the show before and was surprised at how quickly I was drawn in. The backstories about why people wanted their particular tattoos were right up a people-watcher/therapist’s alley. Side note: I’ve always been fascinated with body art but with my needle phobia, a tattoo on my body was not going to happen. These tattoo seekers sought a way to memorialize a person or event in their lives by inking it into their bodies. One man had lost a hundred pounds and this was his reward. Another wanted a replica of a family heirloom piece of art. But the one that got to me was a twenty-something girl who wanted a sparrow tattooed on her shoulder in memory of her grandfather who’d died. She chose a sparrow because she believed they carried the souls of the dead. She missed her grandfather and in her grief wanted something tangible, something she could touch and feel close to him. I was recently reminded of the conversation game where someone poses the question, “If you could have dinner with anyone in the world, living or dead, who would it be.” This exercise always throws me off. I struggle with the answer. Who would I want to talk with, if it could be anyone in the world? Gandhi? May Sarton? JFK? But I realized that more than anything else, what I yearn for is another dinner, one more conversation, more precious time with people in my family who are no longer living. People I love with all my heart. My grandparents who’ve been gone for decades. My father who died in the seventies, long before we were ready to say goodbye to him. 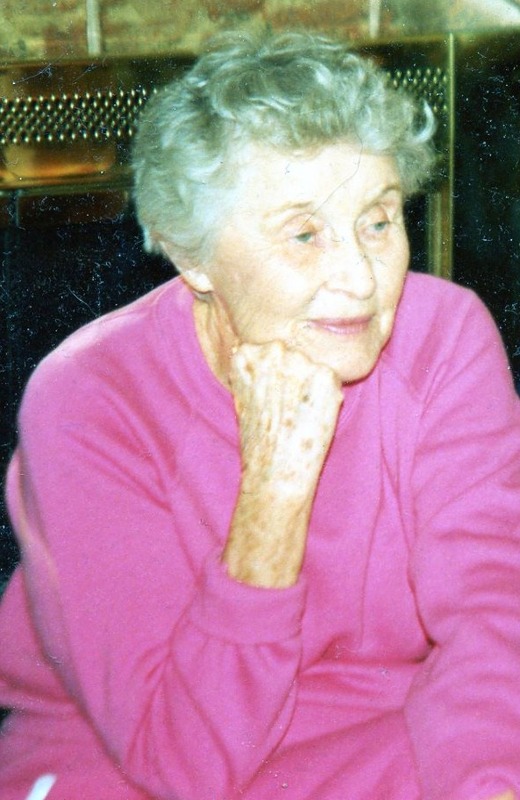 And my mother who died twenty years ago today. What I would give for one more dinner with these beloved people. I can almost taste the roast beef and butterscotch pie. I am like the girl with the sparrow tattoo. I want my family immortalized. They are who make up the meaning of my life. Sure I could talk to a famous person if we were seated together at dinner. And it would no doubt be interesting. But I’d be shy. And not that talkative, because that’s how I get. But with my family it would be a different story. It would be pure ecstasy. My mother died on Valentine’s Day. Twenty years ago, which seems impossible that it has been that long. The year following her death, I made Valentines for the people I love, as a way to do something positive with my sadness, my grief. Every year the holiday would roll around and I needed to honor my mother and honestly, help myself feel less sad. I kept the tradition for about fifteen years, amassing quite a collection of hand-made Valentines. And then one year I realized that my sadness was gone and I didn’t need to make the cards. That’s how grieving works. It takes its own sweet time, but you know when its finished. So for the past few years, I light a candle on Valentine’s Day. One more dinner. One more conversation with these people I love and miss so terribly would be the most wonderful thing I could imagine. As I sat that evening watching people get their tattoos, especially the girl with a sparrow on her shoulder, I realized that my tattoos are internal. The people I love are forever etched on my heart. So on this day of love, I invite you to reach out to the people you love and tell them. Do it now, because the opportunity to say, “I love you” in person can go away so quickly. Before we’re ready. Then all we’re left with are memories and a little green sparrow inked onto our shoulder or love lines in our hearts. Happy Valentine’s Day dear readers!